The No3 Mark1 Accurate Position Finder (APF) was the fire control component of the Canadian Gun Laying III(c) radar system. It received the approximate range and bearing of incoming targets from the ZPI (Zone Position Indicator) No4 MK1. The APF then provided accurate measurements of range, bearing and angle of each target aircraft to direct the fire of a Troop of four 3.7″ heavy anti-aircraft guns. The GL III(c) radar system was a British design adapted by the National Research Council of Canada. Beginning manufacture in 1941, the No. 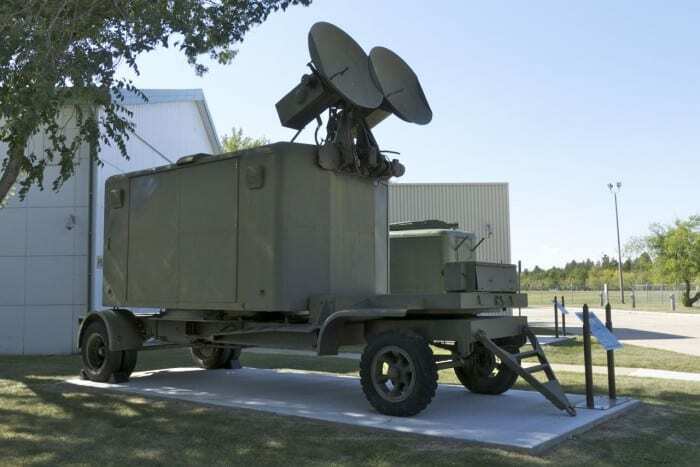 3 MK1 was the first mobile radar employing centimetric wavelength transmission (microwaves) to go into production in the world. The GLIII system was used by the British, Canadian and Australian Armies into the 1950s.